The jersey’s looked different, but the teams that battled on the ice were old rivals. 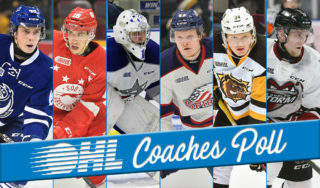 There were multiple story lines for the game against the Petes. The biggest was Kingston wearing a plaid jersey to raise awareness for cancer research. The jerseys would be auctioned off after the game in support of the Canadian Cancer Society of Kingston. On top of that, it was the first time the Robertson brothers were facing off this season. The opening period was uneventful until the final minutes. Brendan Bonello did make some impressive saves early on to keep Kingston in the game. The Petes outshot Kingston 13-5 in the opening period and they finally broke through right before the period ended. Max Grondin beat Bonello to the blocker side with 1:29 left to give Peterborough a lead entering the intermission. The second period was much more exciting. Brett Neumann tied the game on a Kingston power play. He slipped a back hand shot by Hunter Jones to equal the game 1-1. Peterborough answered back quickly. Chris Paquette put the Petes ahead 2-1 when he beat Bonello on the blocker side. Just under two minutes later, Matt Hotchkiss banged in a loose puck to tie the game once more. The slow game from the first period turned into a track meet in the second period. Peterborough scored exactly one minute later to reclaim the lead. Cole Fraser sent a wrister on goal from the point that snuck by Bonello. After forty minutes the Petes led 3-2. The scoring slowed down in the third period again. Kingston continued to try and tie the game, but Hunter Jones was solid. It led to Kurtis Foster pulling Brendan Bonello in favor of the extra attacker. Chris Paquette scored into the empty net to give Peterborough a 4-2 lead. 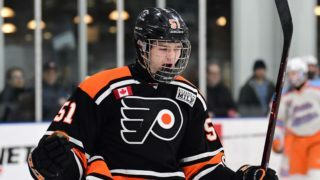 Usually the empty net goal is the icing on the cake, but staying true to the rest of the game, Kingston responded almost immediately. 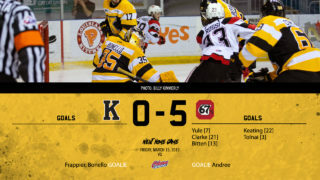 Luke Drewitt scored his first goal of the season to pull the Fronts back within one. 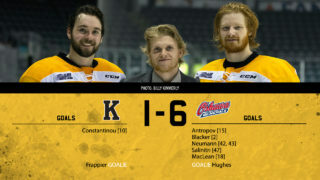 The Fronts fired everything they could at the net in the final minute but couldn’t get the tying goal. The Petes held on to win 4-3. The Frontenacs will put the game worn jerseys up for auction in the next few days. 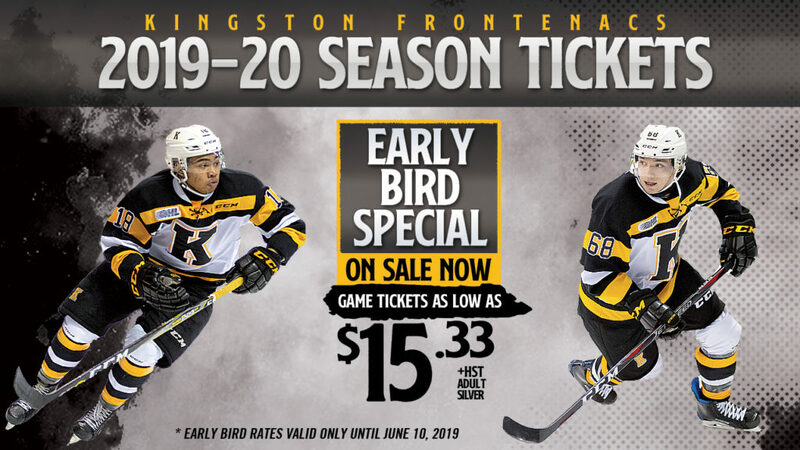 You will be able to find more information at kingstonfrontenacs.com once the auction is live. 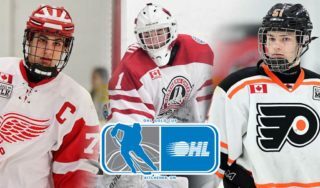 Kingston will head to Hamilton Saturday and then Mississauga on Sunday to finish the weekend. They return home for the annual Remembrance Day Game next Friday against the Hamilton Bulldogs.